Wild About Beauty infuses products with botanical extracts. This eyeshadow contains aloe vera, vitamin E and vitamin C. These are greatly beneficial for the skin, especially our delicate eye area. So it's pretty neat that this eyeshadow can actually act as skincare. It's also paraben free which is a plus. This is in the shade Rowan. Honestly, it's not as pigmented as other products that I've used. I have to swipe a few times with my brush before I begin to apply it, the colour needs to be built up quite a bit. It's a really pretty colour though, and the fact that it's good for my skin makes up for the lack of pigmentation. 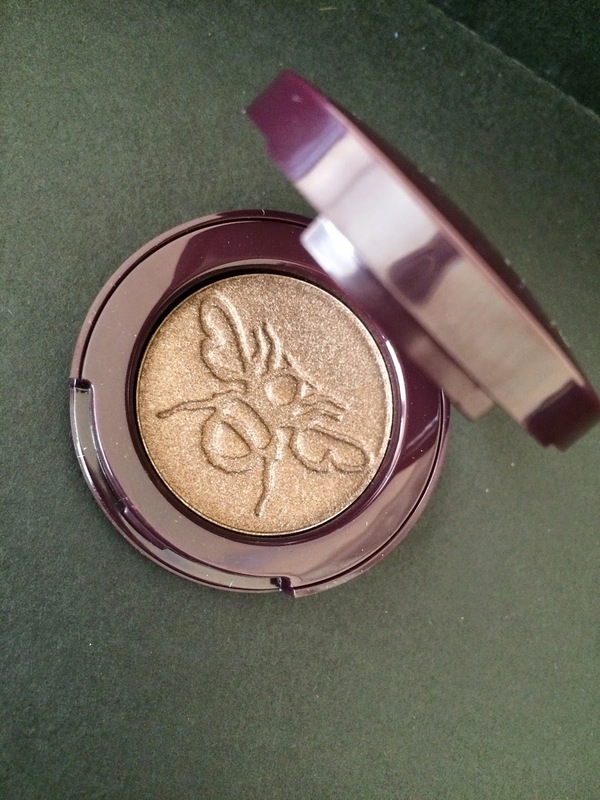 The packaging and little bee pressed into the shadow is beautiful - it is evident that this is a high quality product. I would recommend that you check out their products, but bare in mind that if you are solely concerned with colour payoff then you may be disappointed with this range. However, those of you who love natural cosmetics should definitely look into trying Wild About Beauty (their lipglosses have great reviews also! ).